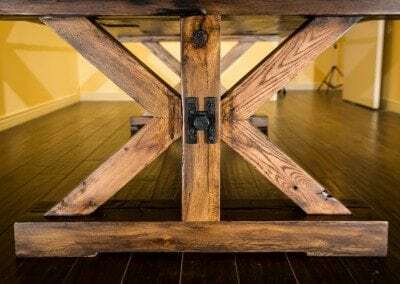 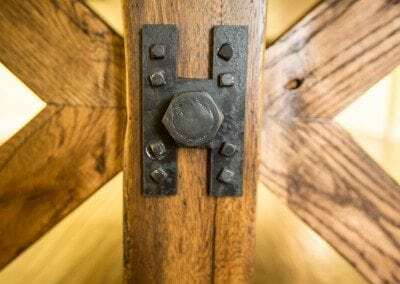 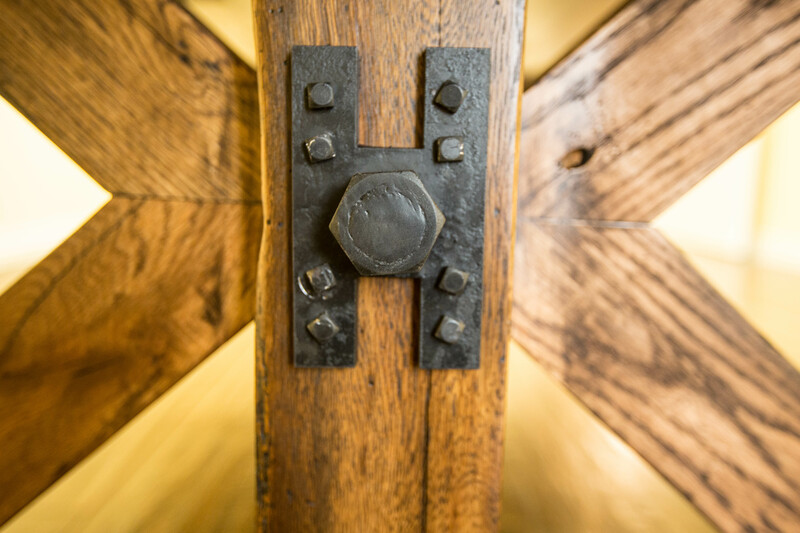 Classic design and stunning reclaimed wood and steel. 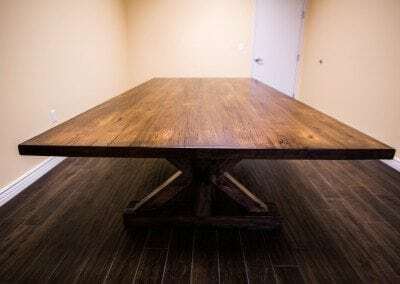 This table is pretty big too! 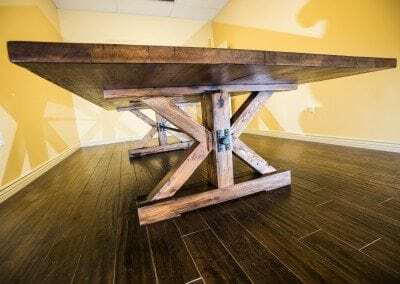 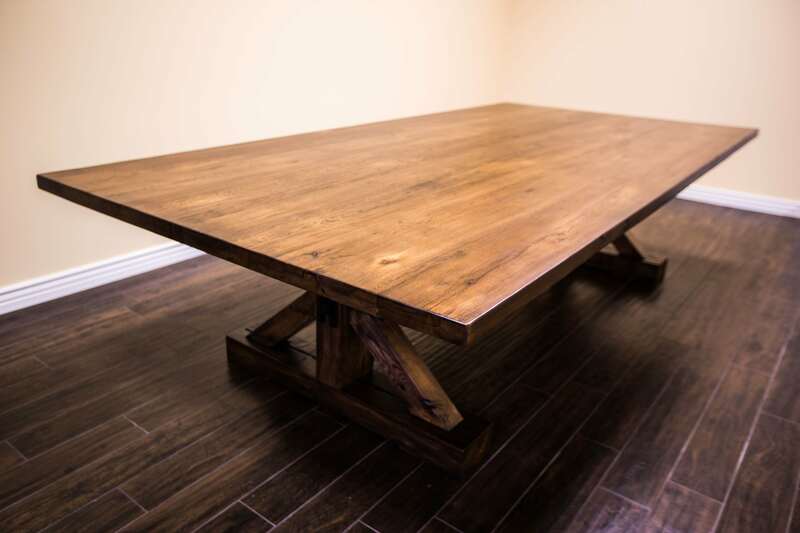 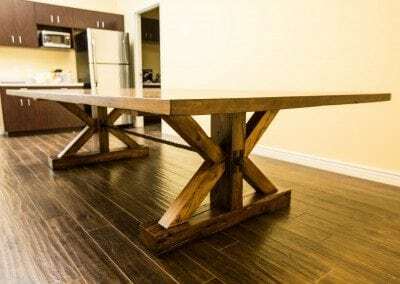 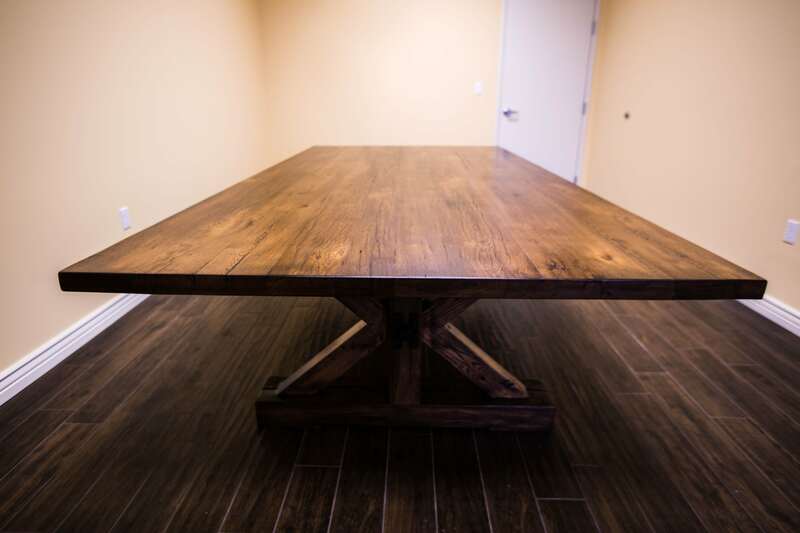 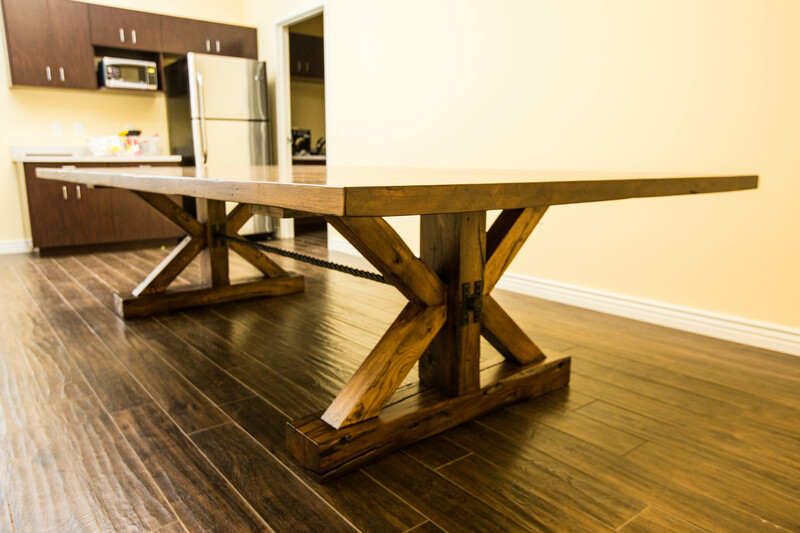 At 5 ft wide and 10 ft long it’s no ordinary break room table.